In most states, auto insurance companies function under a traditional "fault-based" system. What this means is that insurance companies will make payments for medical bills based upon each driver's degree of fault in a particular accident. So if two drivers are involved in a head to head crash, their insurance companies will battle over who pays medical bills. (1) The auto policy where you are a named insured, or in other words, where you are listed on the policy declarations page because you purchased the policy. (2) If you are not a named insured: first party coverage applies through an auto policy where you are an additional insured, but are not the named insured. This would apply for family members such as teenagers and spouses who did not obtain the policy directly, but are covered nonetheless. (3) If are not insured under an auto policy but are occupying a car with insurance, then you are covered under that policy. This can apply to minors and those who do not drive. (4) If you are not occupying a motor vehicle (i.e. pedestrian), then you are covered by the policy on the motor vehicle involved in the accident. To illustrate how this applies, let's assume you are a named insured on your own policy and receive $5,000 in First-Party or PIP benefits. Another driver comes along and negligently strikes your vehicle, causing you to incur $5,000 in medical expenses as treatment for your injuries. Because PA is a no-fault state, your own insurance company is responsible for paying the first $5,000 in medical bills incurred as a result of the accident. You would then be responsible for paying the rest, or alternatively, suing the other driver for out of pocket medical bills in excess of $5,000. Section 1979 of the MVFRL limits the amount a physician or hospital can bill an insurance provider for injuries sustained in a motor vehicle accident. The cost of treatment is "repriced" based upon a complicated formula. Long story short, your auto insurance company pays far less for your medical bills with first-party benefits than you would pay individually without insurance. We have seen an instance where medical bills totaling $130,000 were repriced by the first-party insurance carrier to a total of $18,000 and paid in full. The hospital was required to accept the $18,000 as full satisfaction of all bills incurred. If you are injured in an automobile accident, contact the Zuckerman Law Firm for a free consultation at 412-447-5580. 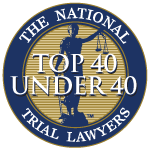 The Zuckerman Law Firm, LLC is a single-member Pennsylvania limited liability company solely owned and operated by Attorney David S. Zuckerman, Esquire. Neither Attorney Zuckerman nor the Zuckerman Law Firm, LLC guarantee any result or outcome in any legal matter. The content of this website is for general information purposes only, and should not be construed as legal advice for any individual case or situation. This information is not intended to create, and receipt or viewing does not constitute, an attorney-client relationship.